Russian Helicopters to showcase new military helicopters at Dubai Airshow 2013. Russian Helicopters will demonstrate commercial models currently in production, including the Ka-32A11BC, as well as the new Mi-171A2, the latest Ka-62 and the modernized Mi-26T2. 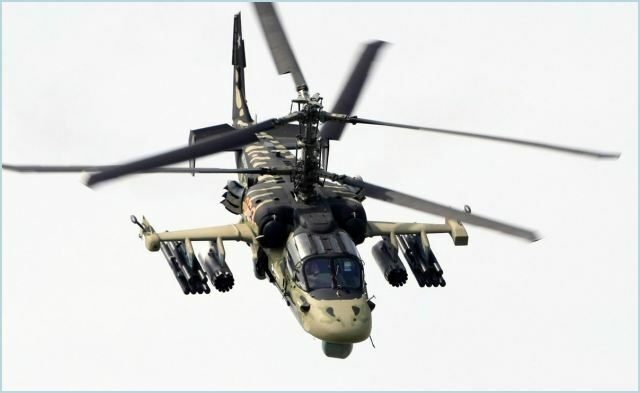 The company and Rosoboronexport will jointly present the military Ka-52 Alligator, the Mi-28NE Night Hunter, the multirole Mi-35M and the Mi-17V-5 and Mi-171Sh military transports. 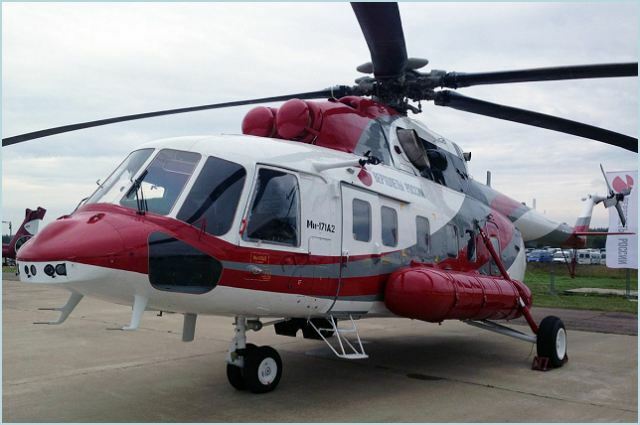 At Dubai Airshow 2013, Russian Helicopters will hold a briefing, “Mi-171A2 – Solution Tailored to Your Needs”, on 18 November at 11am-1pm in conference hall 3. The company will demonstrate the Mi-171A2 to helicopter operators from the Middle East, Asia and Africa, and will highlight the helicopter’s unique capabilities and hold a question and answers session. The Mi-171A2 is the newest addition to the renowned Mi-8/17 series, incorporating the latest materials and technologies, and is a perfect fit for the needs of helicopter operators from these regions. 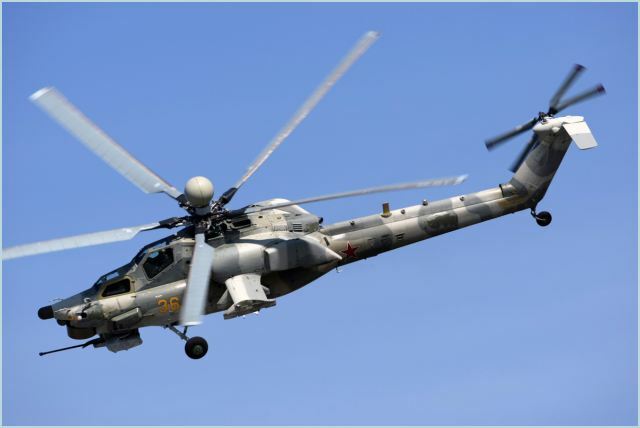 In the commercial segment the company will present the multirole coaxial Ka-32A11BC, which regional operators already know from Dubai Helishow 2012. The Ka-32A11BC is unique as a fire-fighting helicopter, according to experts, and the helicopter can put out a fire even at the top of the Burj al-Khalifa in Dubai, one of the tallest buildings in the world at 828 metres and 163 storeys. The Ka-32A11BC in fire-fighting configuration is highly effective in combatting fires of all types, and can also be used for search-and-rescue and medevac missions. Also expected to attract high levels of interest is the new Ka-62, designed to carry passengers and fly a wide range of missions including rescue operations. The helicopter can also be used in the oil and gas sector, and is well-suited to corporate purposes thanks to its spacious and comfortable salon, which can hold up to 15 people. Flight testing of the Ka-62 is planned for the end of 2013, and Russian Helicopters expects to obtain certification for international use in 2015-16. The Mi-26T2 is an updated version of the Mi-26T, the world’s heaviest-lift helicopter. The Mi-26T2 has a modernized engine and new avionics suite that cuts crewing requirements to two people, helping operating companies to reduce flying and staff-training costs. Russian-made military helicopters are already in operation with armed forces across the Middle East. The most widely deployed are models from the Mi-8/17 series, which includes the modern Mi-171Sh and Mi-17V-5. These helicopters can fly a wide range of missions and can operate in different climates and temperatures from minus 50°C to plus 50°C. The Russian stand will also display the modernized Mi-35M, based on the world-famous Mi-24 and equipped with the latest systems; the Ka-52 Alligator, with coaxial rotors that give it unique maneuverability and acceleration; and the Mi-28NE Night Hunter strike helicopter, which can fly search-and-destroy missions against a range of targets including armoured vehicles, artillery positions and anti-aircraft emplacements, as well as enemy helicopters. Dubai Airshow takes place every two years and is a key event in the Middle East region. The first Dubai Airshow took place in 1989. Participants include global aerospace and defence companies and producers of systems and components interested in expanding their presence in the Middle East.